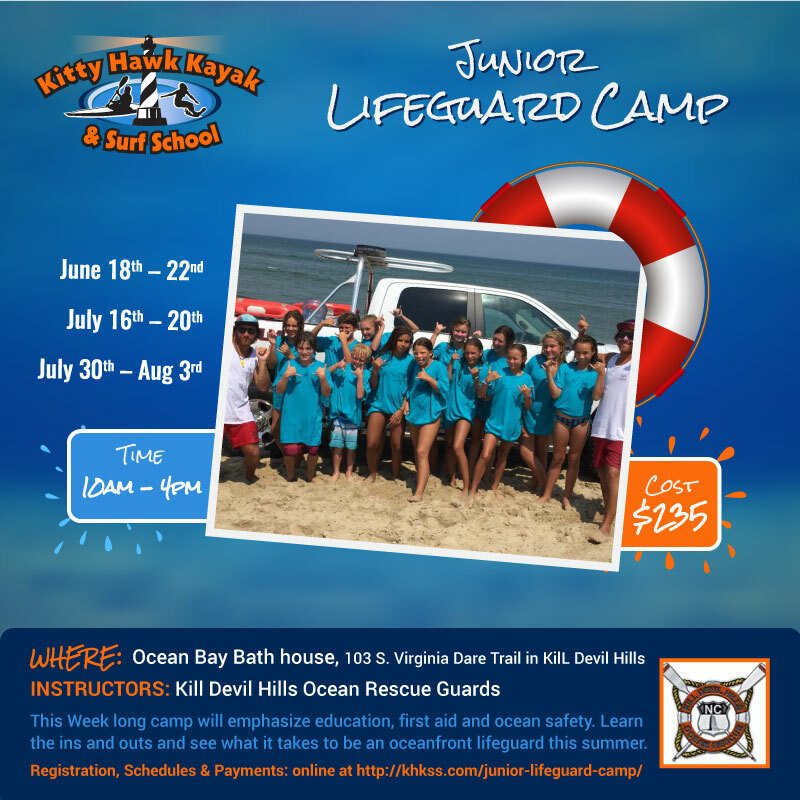 Online banner ad for Kitty Hawk Kayak and Surf School of the Outer Banks of North Carolina. The ad is used every Spring to advertise their Jr. lifeguarding camp. They use the ad in social media and local websites.